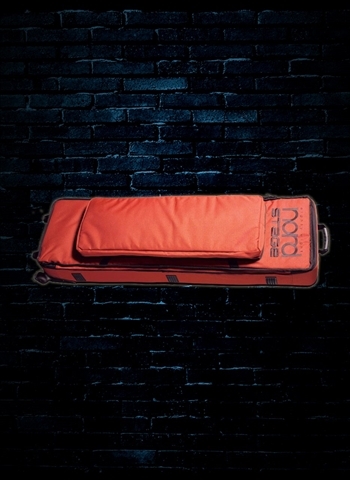 Nord gig bags are high quality custom-fit carry cases that are practical, lightweight, and suited for gigging. The bag for the Stage EX 88 Piano is a semi-hard, padded, custom-sized soft case and comes with an extra mid-level handle and wheels for easy transport. The exterior pocket is large enough to accommodate the Stage/C1 Legs (AMS-NSCL) and Stage/C1 Music Stand (AMS-NSCMS) and all your cables and accessories. In distinctive Nord Red with black trim. Keep your Stage 88 in perfect shape!